I am blogging from Riga, Latvia at the CEESA (Central and Eastern Europe Schools Association) Basketball Championships hosted by the International School of Latvia. I am coaching our team. I like to “keep it real” by working with the students as the teachers do, “down in the trenches.” I think administrators sometimes get out of touch with the daily concerns of teaching and learning. It makes me a better principal. I also strongly feel the benefits of extra curricular activities. All of them, not just sports, are so good for kids. At our school, with its transient population, the teams and clubs get kids to buy in to the school and feel closer to the community. It is especially important for teenagers, as it is difficult to move schools and make friends. A student that loves acting or is a good athlete, can really cement their positive feelings about a school, which will result in more engagement in the classroom. It also sets us apart from other international schools in Belgrade. 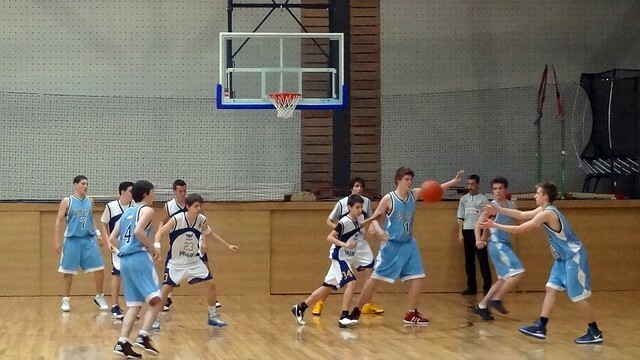 International School of Belgrade versus the Pechersk International School of Kiev. Below are the scores from the week so far. I’ll post more when the tourney is over.